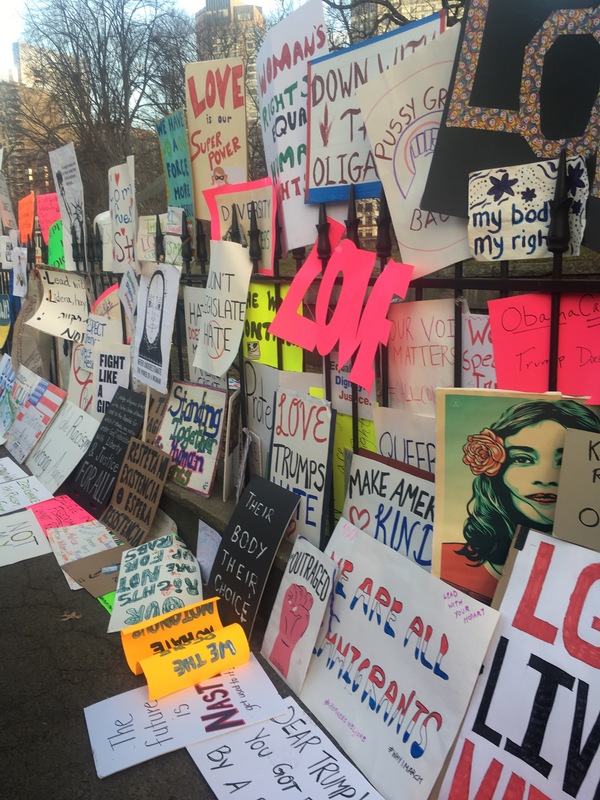 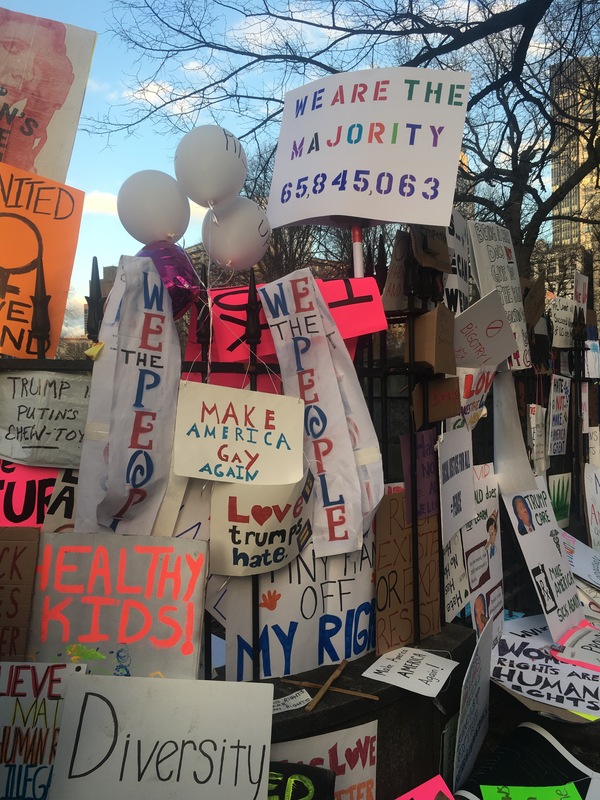 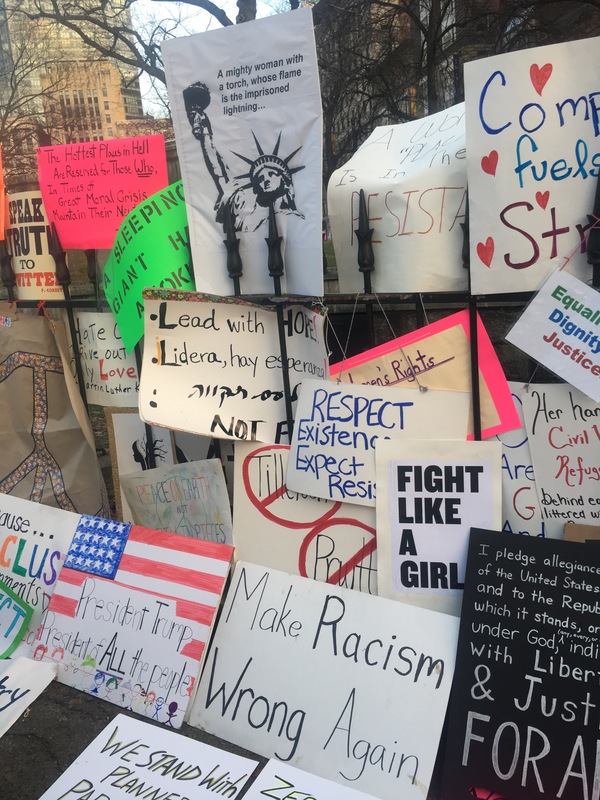 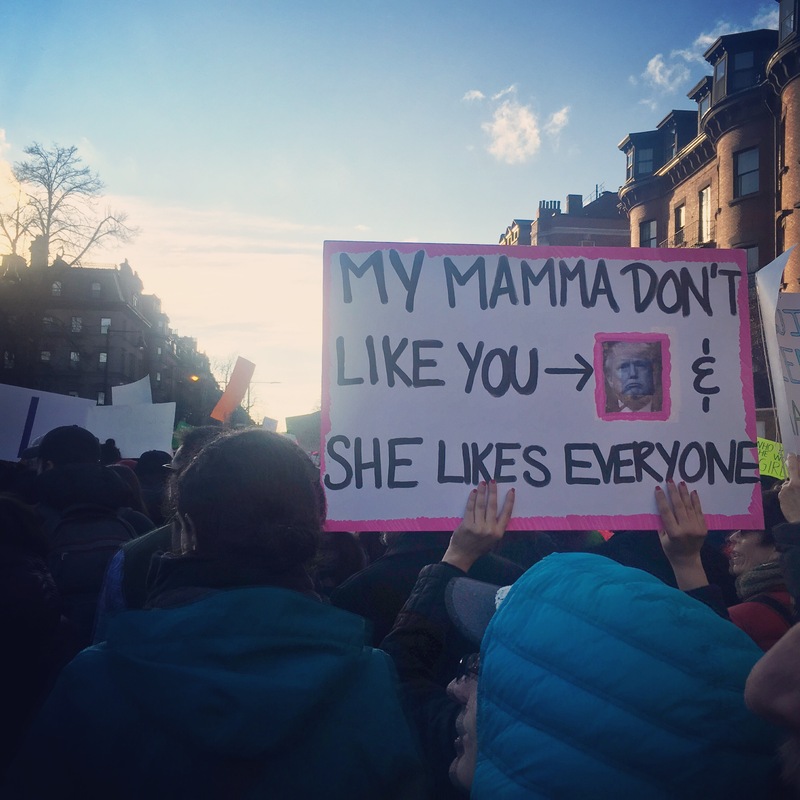 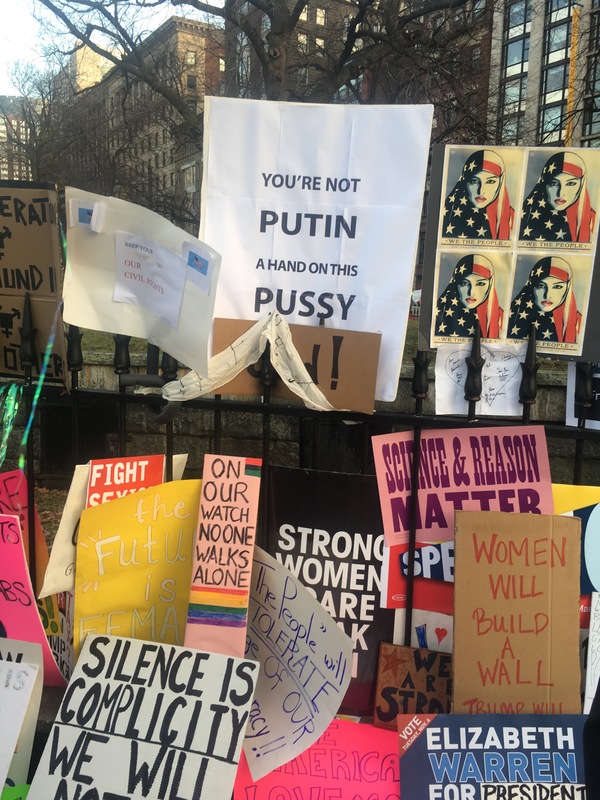 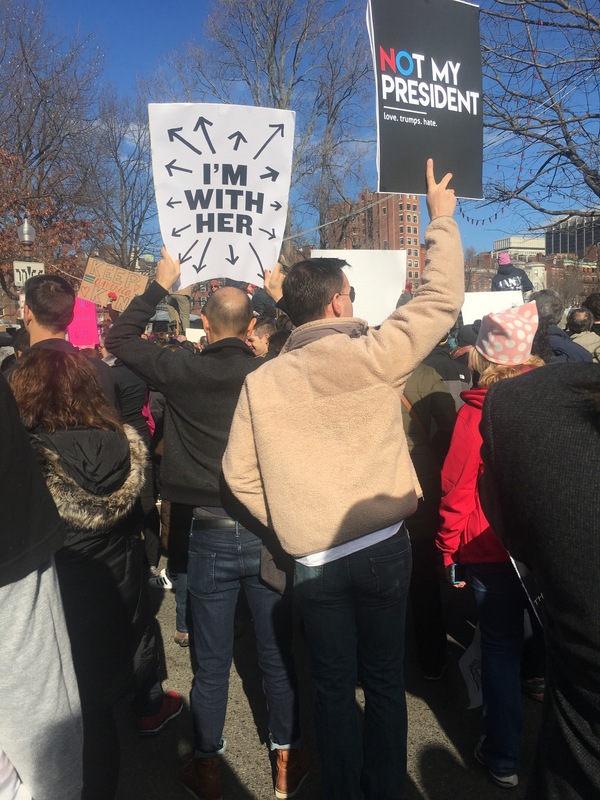 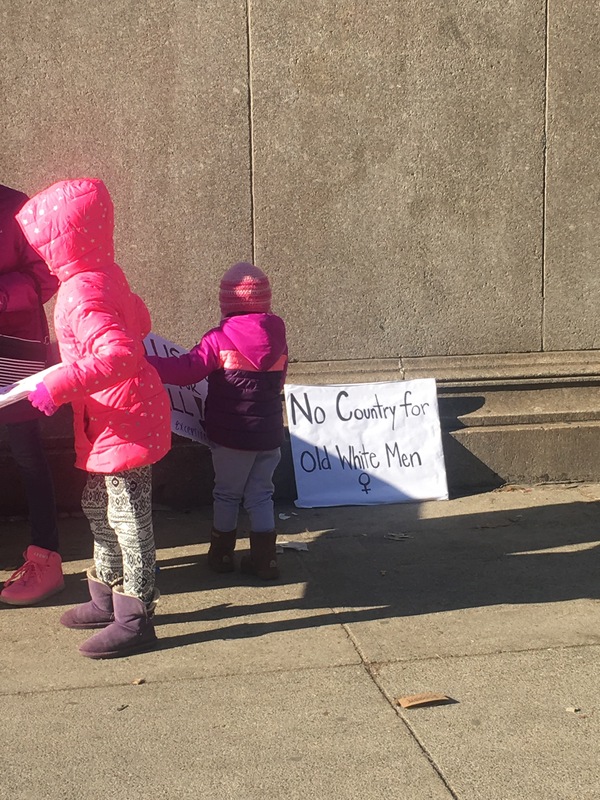 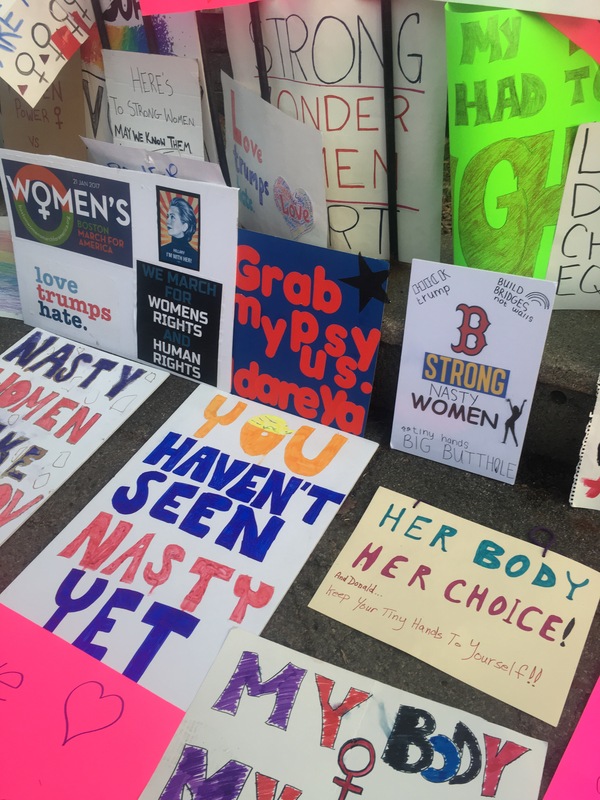 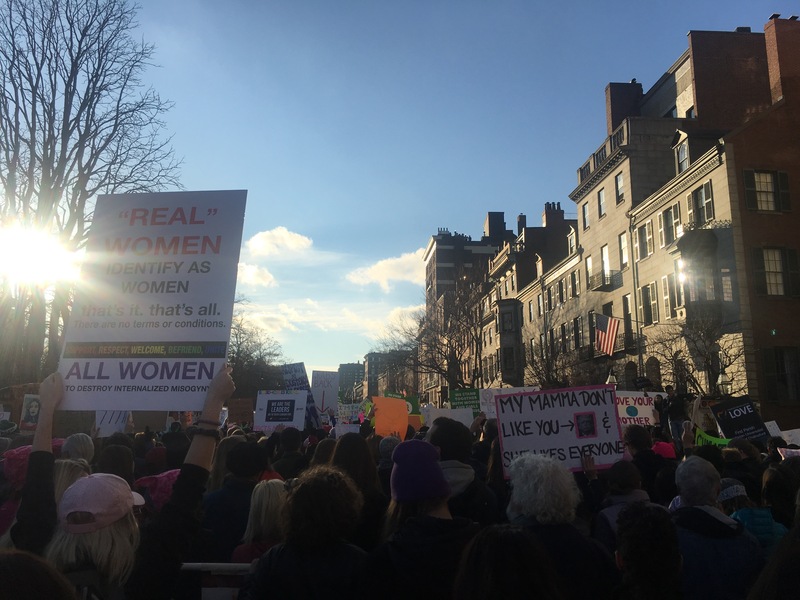 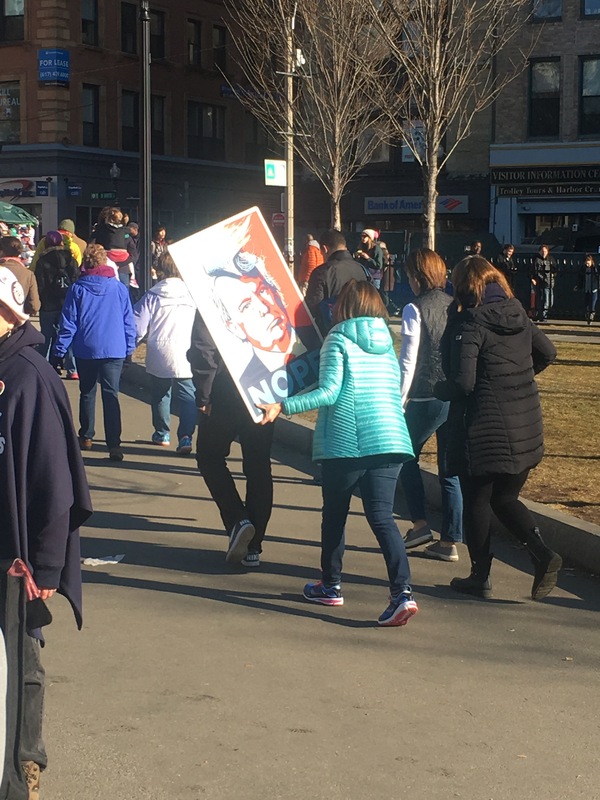 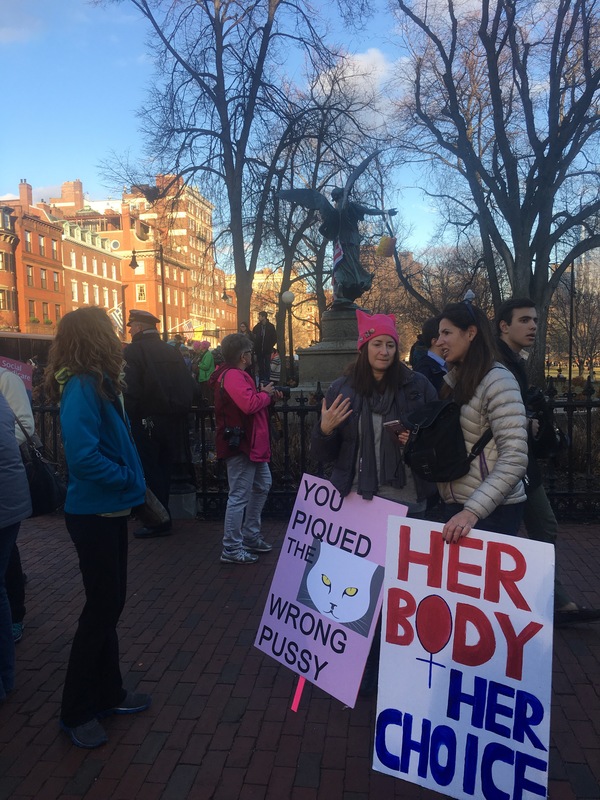 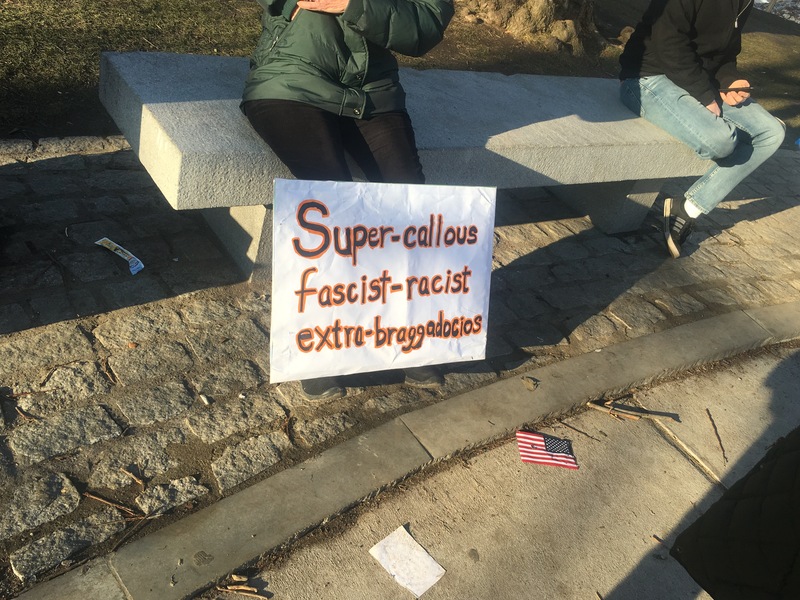 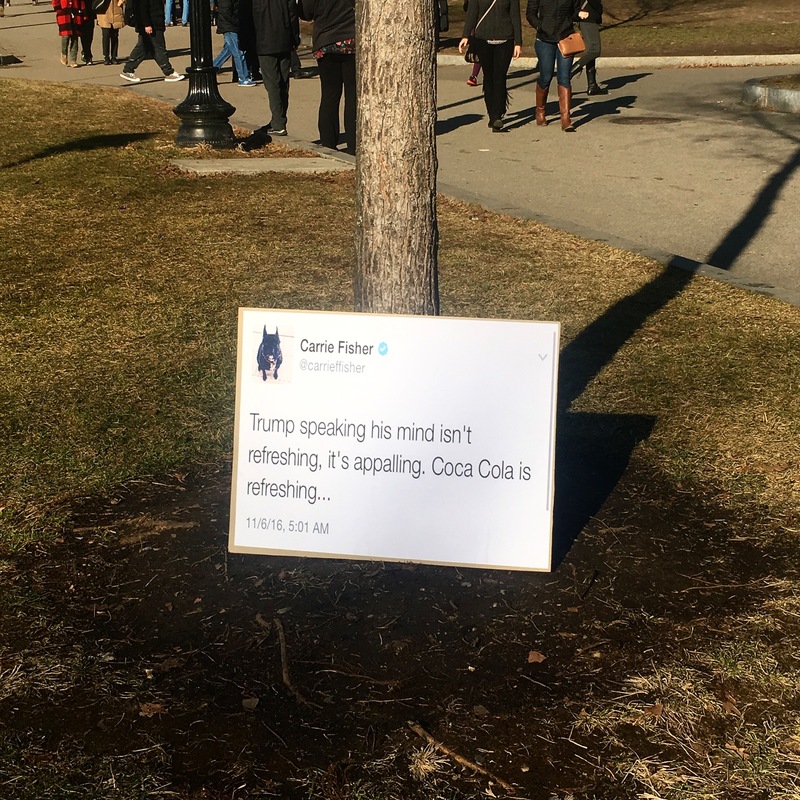 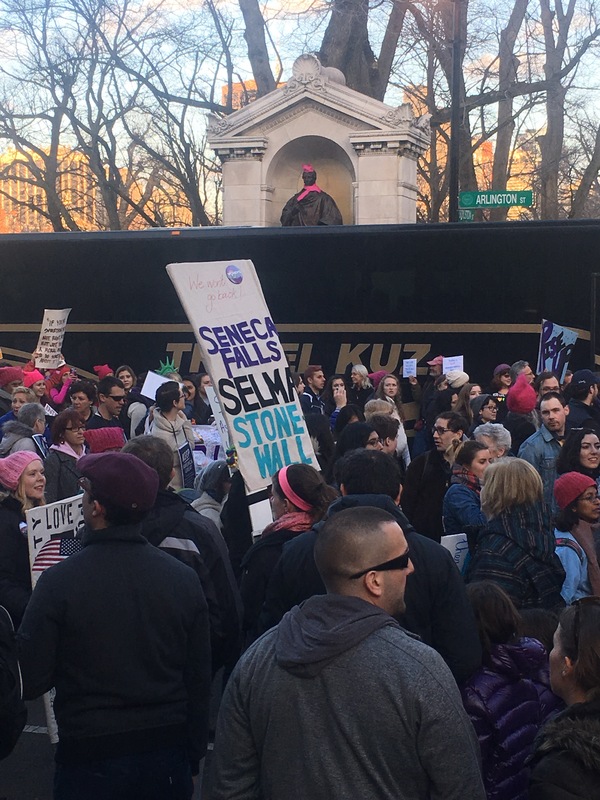 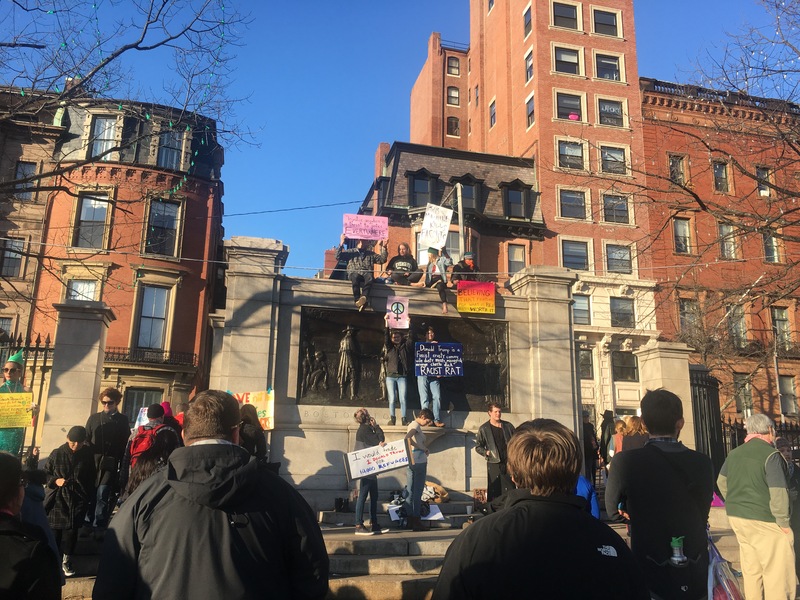 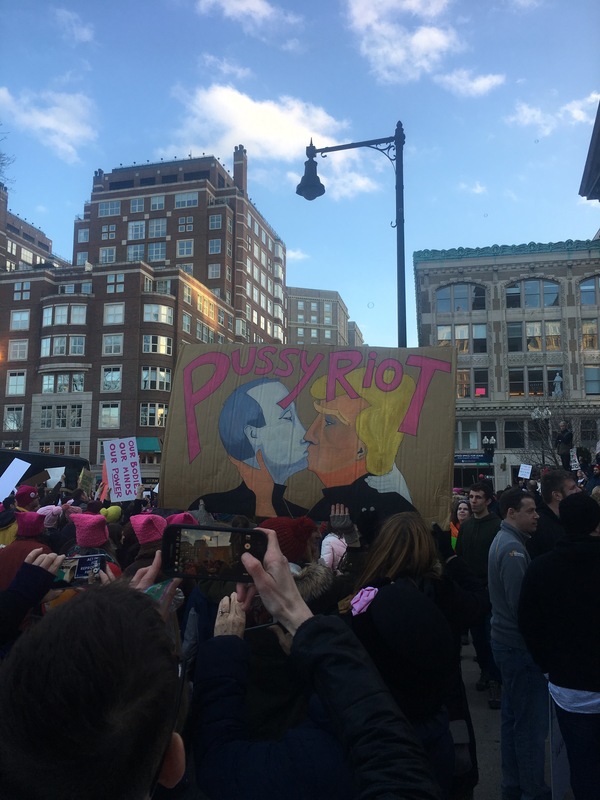 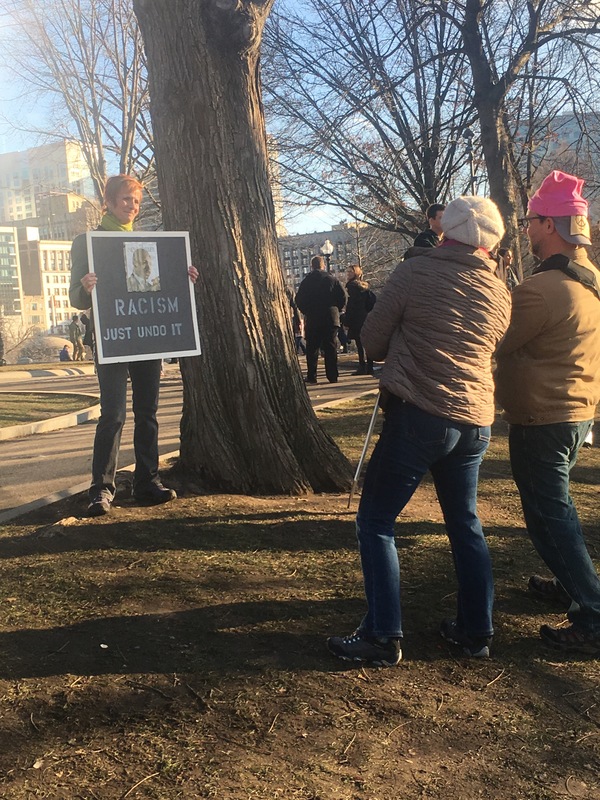 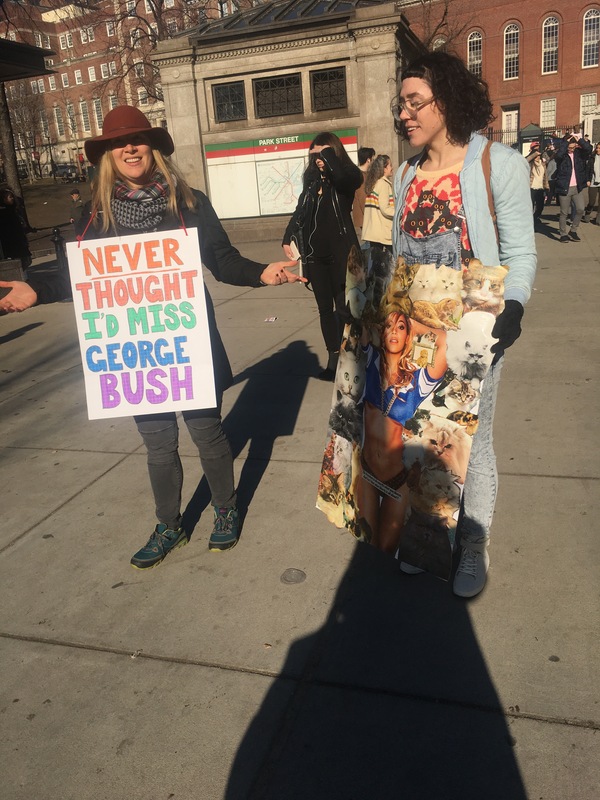 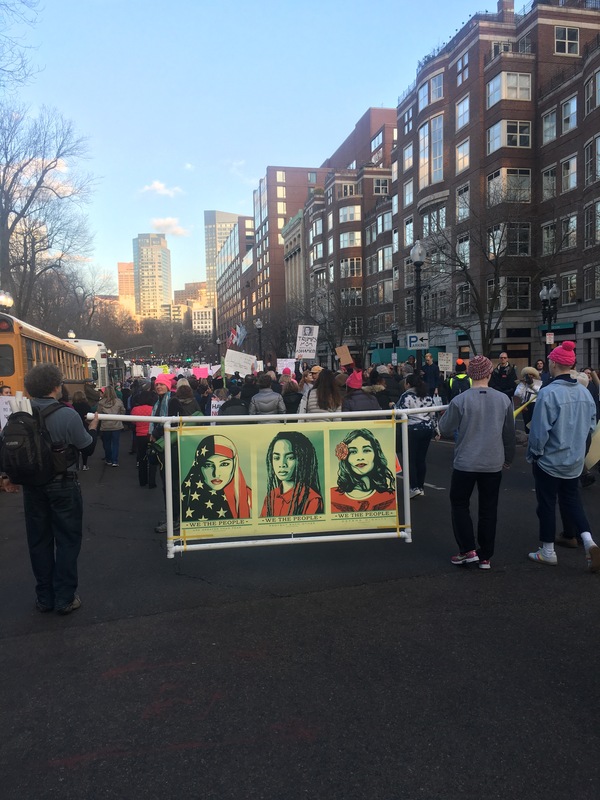 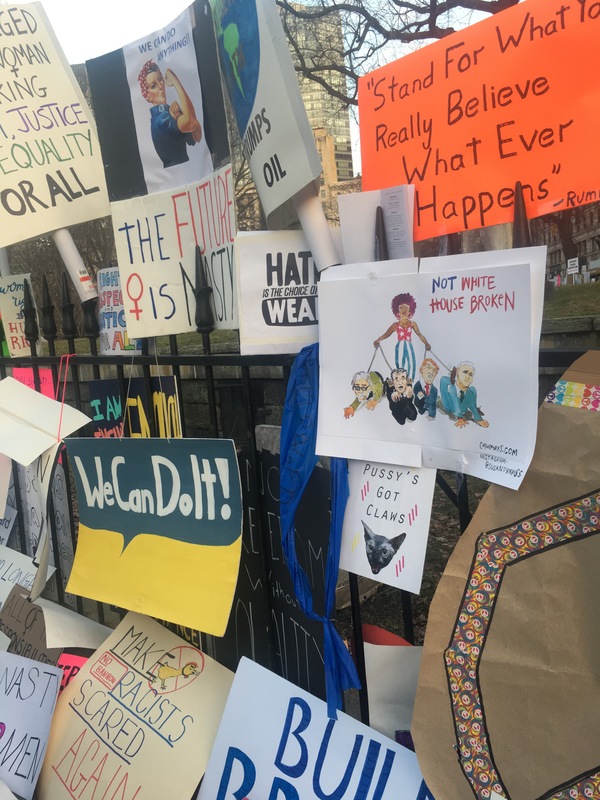 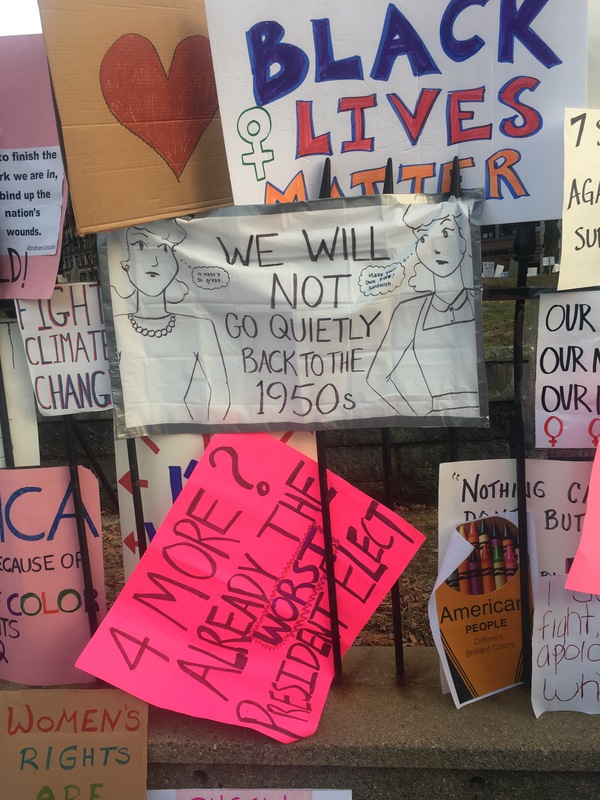 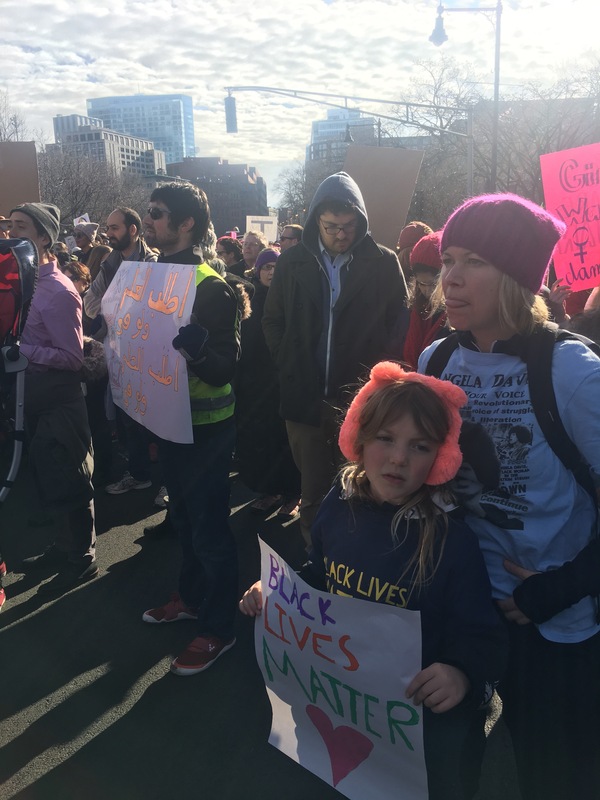 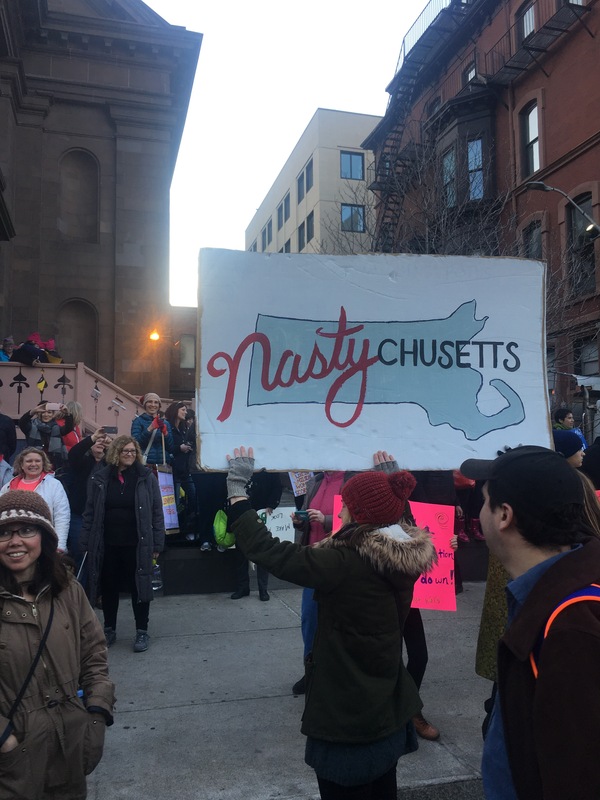 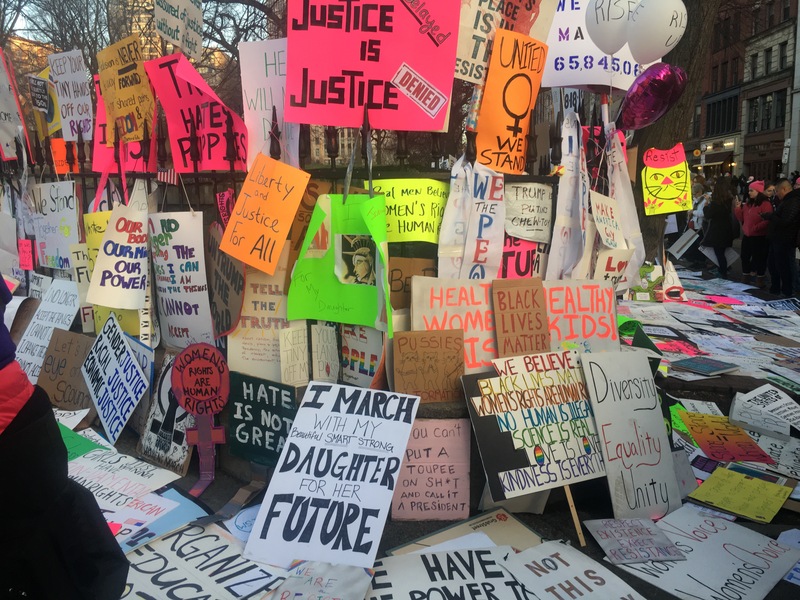 I could pat myself on the back for attending the Women’s March today but far from it, I want to applaud the hundreds of Bostonians and Massachusians (so not a word) that showed out in record numbers and made some of the most hilariously smart and acerbic, and heartbreaking posters and illustrations I’ve seen in one setting for a movement. 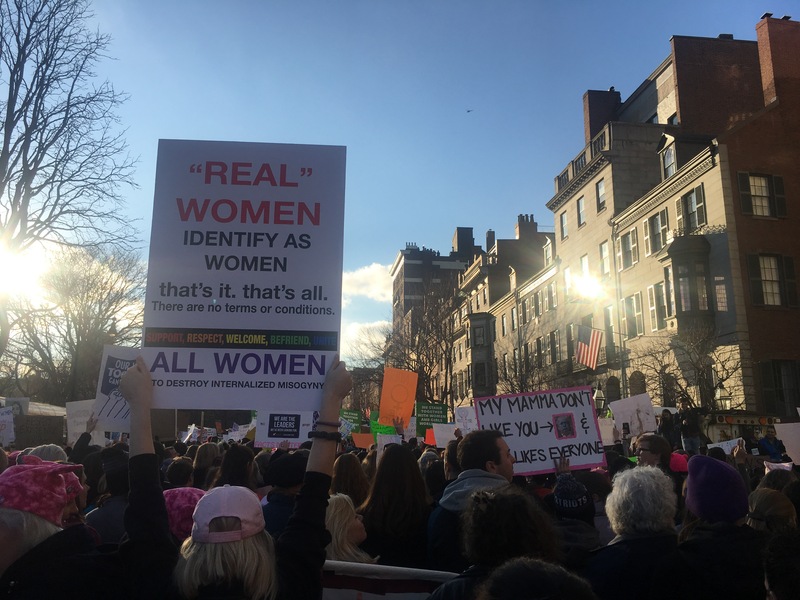 I’ve long admired the women, men, and students of past, whether it was against the Vietnam War, or Stonewall, Civil Rights, and Women’s Lib, that campaigned for the human rights of others and the future. 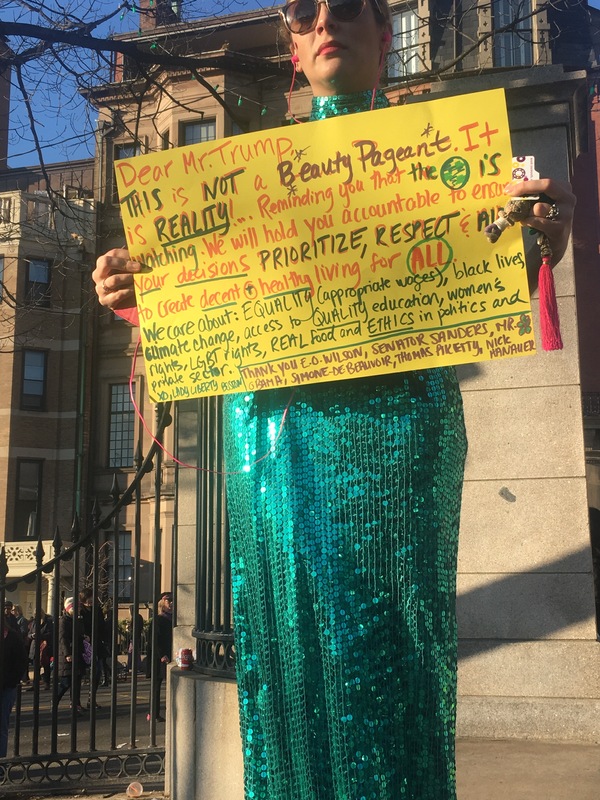 I was once the future and now I am the present. 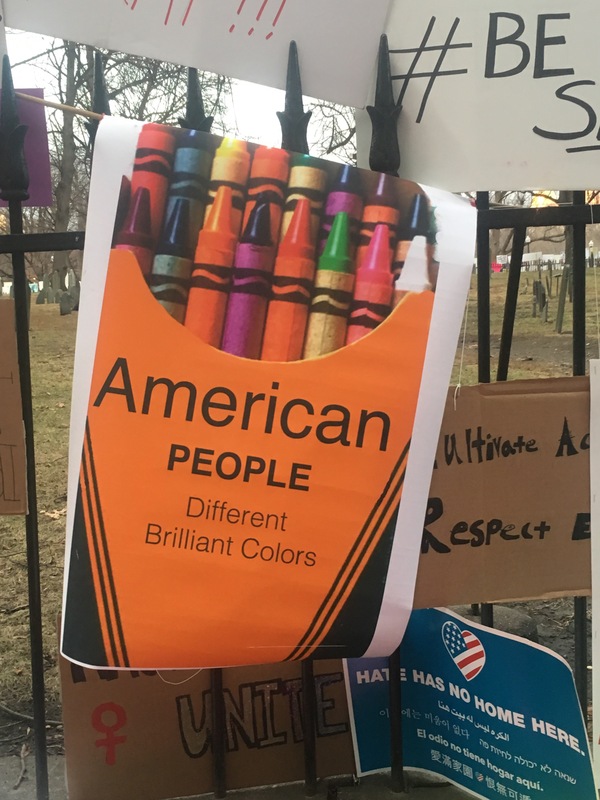 I thank you.